That is a lot of extra time for you and your family to be sitting in your vehicle breathing the air in the vehicle’s cabin area as well as the air entering your vehicle through the HVAC system. Many people do not stop to realize that potentially harmful molds, mildew, bacteria and virsuses are living in the interiors of their vehicles nor is much thoughtgiven to regular replacement of the cabin air filter which captures many airborne contaminants like dirt, soot, pollen, and other pollutants and prevent leaves, dirt, bugs and other debris from entering the HVAC system and negatively impacting the operation of certain components of your vehicle such as the heater, air conditioner and defroster. If you’ve ever felt nauseous or know someone who complains about being nauseous while traveling in a vehicle and it has been passed off as simply experiencing motion-sickness it may be time to reconsider what is causing the issue…and look at the overall air quality in your vehicle. 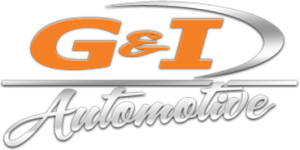 At G&I Automotive we offer an air purification system that literally eliminates all molds, mildew, bacteria, viruses, offensive and stubborn odours such as tobacco smoke from vehicles in a healthy, safe manner, incorporating the latest in ozone purification technology, a naturally occurring substance that is completely safe when utilized & applied by a qualified technician. We are able to kill problems at their source for a purified, healthier and more comfortable environment. We also suggest changing the air cabin filter as part of this air purification process to ensure you receive optimal results as the air cabin filter not only filters the air but aids in preventing the growth of a wide array of bacteria, mold, mildew, algae and yeast. This is an additional step in the protection against odour and microbes that cause allergies, making our services the complete solution to clean and healthy air for you and your family.